Having created a (largely) well received opener for its difficult second album, The Walking Dead strides with confidence into an exciting second episode that is packed with memorable moments and tantalising hints of the action still to come. Major spoilers for Season Two have been avoided, but details from Season One may be touched on. You have been warned. 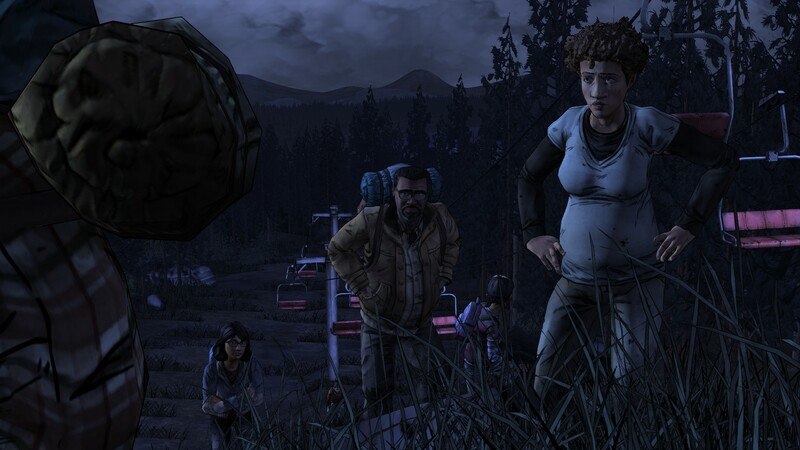 The precedent was there for the team to have struggled to proceed – Starved for Help, the second episode of The Walking Dead‘s first season, was the longest in development, partly as Telltale struggled to define the depth of simulation at a time before the series’ trademark light gameplay was essentially untested. Nevertheless, A House Divided, despite doing a lot of narrative heavy lifting, is among the strongest segments in the story yet. Wasting no time to pay off on a key dynamic teased in All That Remains, one early scene terrifically retreads another from the first season. The first season’s highs were often pure tragedy – a crushing third episode with murder in your party, a child’s drawn-out zombification and the suicide of his mother was trumped only by the season protagonist’s final farewell in a brutal last episode. While the season had no shortage of antagonistic forces, they tended to be purely environmental or vaguely defined – a ‘monster of the week’ selection of bandits and hypocritical leaders who kept things moving on to allow for the big reveal (‘the Stranger’) at the very end. This time, however, the main threat is likely to run for substantially longer. Teased in the first episode, the player finds themselves chased by the new group’s old leader. 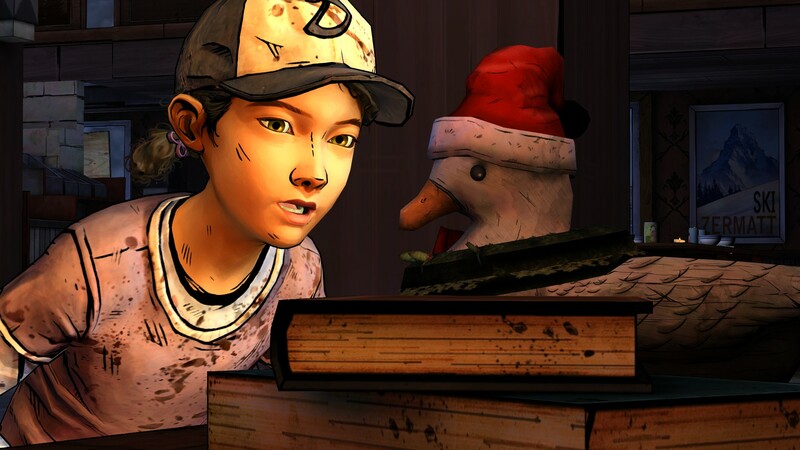 Playing their cards close to their chest, Telltale have neatly set up a lengthy conversation between Clementine and a new, unknown man, wherein the player has to balance their curiosity for who he is against his constant attempts to dig for information about the group she has only just joined. It’s a tense sequence that plays well with the power dynamic – you feel your character’s vulnerability, but it’s still possible (and interesting) to be opportunistic, or to rebalance the dynamic by outright lying. The presentation of this season continues to excel, and the thought that has gone into framing each scene ensures that it’s hard to take a bad screenshot. Spooked by the visit of a man they suspect is after them, the group decide to move on. This launches the narrative forward into the wilderness – the ever present threat of the cruel undead and paranoid living leading to as much variety as can be realistically squeezed out of the somewhat confined adventuring. The game’s point and click adventuring is barely in evidence – but with probably the best action sequences we’ve seen yet, alongside critical conversations with a large group of mostly new characters, you won’t miss it. The only negative point I can see here is, despite efforts to show how Clementine was fair game for some pretty rough treatment in the first episode, options that endanger her are too easy to take because you’re conscious of her plot shielding. 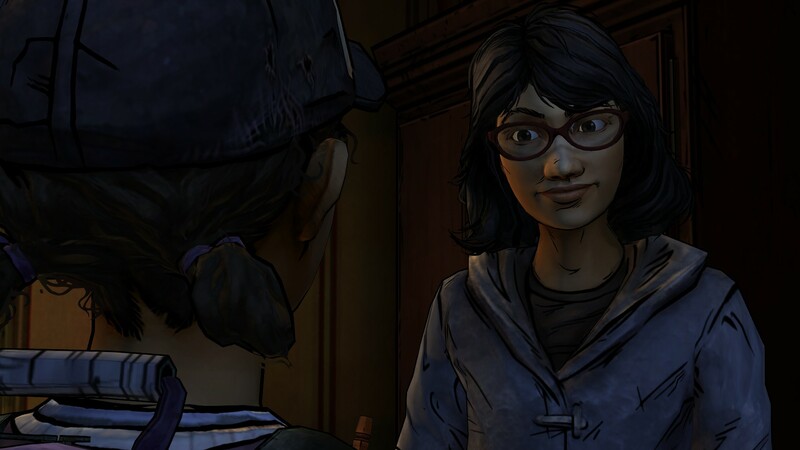 For a non-specific example: if your options including risking letting someone get killed or putting Clementine in harm’s way to prevent that happening, you’ll choose the later. Since Clementine cannot die, you’ll see the likely positives in what should be an entirely undesirable option (even if all that happens later is that someone thanks you for sticking your neck out). As suggested by the next episode preview, an old face dramatically returns to the fold in Episode Two. And then there’s this guy. With two solid episodes under its belt, Season Two has moved into unequivocal recommendation territory for all but those who’ve failed to gel with the series’ acquired taste. Even then, A House Divided helps to further the impression that this could be a season that exceeds the first: it’s far more assured than the plodding first half of Season One – and if it’s going to hit the highs of the second half, it’s well worth buying in sooner rather than later. Platforms available – PC (Windows, OS X), Xbox 360, PSN (PS3) and iOS. Later releases as expected on PS Vita and Ouya. Please check this post for more on our scoring policy. Season pass purchased by the writer. Reviews of other episodes in the season can be found here. Each episode is only about two hours – just a few evenings of light gaming and you’ll be up to speed! You really should get around to it Chris, the ending of S1 is superb. Re-s2ep2 tho, thought it was a great addition. Great to see THAT character back, even though their arrival was not so much as poorly explained as ducked entirely. Escalation at the end was good too- though the running theme of anyone who’s even remotely good being killed mercilessly is getting a bit wearisome.